Helping you VROOOOOM all the way to the finish line. When it comes to providing quality products for our racing customers, we trust in the fuels, lubricants, and additives produced by Renegade Racing. With over 40 years of experience and quality production, we wouldn’t trust our customer’s racing vehicles with any other company’s products. This is the formulation that started it all! The most versatile leaded race fuel in our product line for drag racers,weekend warriors, stock car racers and powersports riders. It burns cooler and cleaner and has more octane than other 110 products on the market. Designed to provide protection for compression configurations up to 14.5:1 at 8,500 rpm. A non-oxygenated, ethanol free fuel designed for crate motors which provides more power and a smoother torque curve and also helps engines live longer with our proprietary “lubricity pack”. This formulation provides protection for compression configurations up to 11:1 at 8,500 rpm. This fuel will make your tuning job easier and you will be able to predict your performance more accurately. Provides protection for nitrous and non-nitrous configurations up to 16:1 at 9,500 rpm. Renegade SX4 is our best four-stroke race fuel for mortal budgets. SX4 is specifically designed for today’s sophisticated, high-revving single and multi-cylinder four-stroke engines. Formulated with today’s most advanced, fast burning blend components and high quality oxygenates, SX4’s real-world performance reviews speak for themselves. 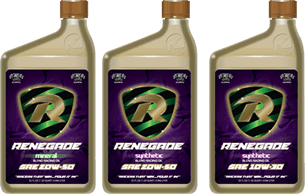 Renegade SX2 improved formula is an oxygen-rich leaded formulation made specifically for two stroke motocross applications. SX2 is not simply a base fuel with oxygen added like other fuels on the market. Renegade Racing Lubricants are specifically designed to lubricate competition engines which run alcohol or higher octane fuels. 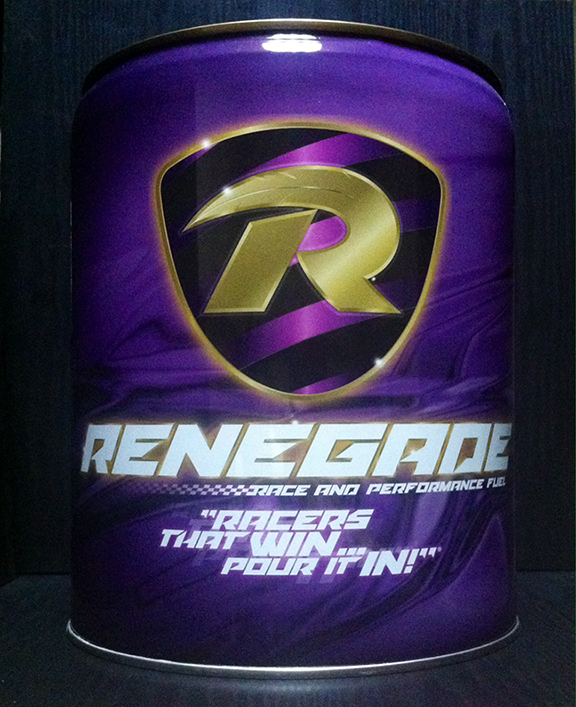 “THE OIL OF CHAMPIONS!” Renegade Racing Lubricants Pro Series® is formulated with 3000 ppm of ZDDP (Zinc) additive, tough detergent-dispersant package, naturally high viscosity index base oils, excellent oxidation, advanced anti-foam system, high performance protection that provides winning results. Not suitable for engines with catalytic converters. Racing oil is only available in full cases. Oil types: Renegade Mineral 20W50 and Semi-Synthetic 20W50, Renegade Semi-Synthetic 10W30, Renegade SAE 30WT Break-In Oil. High viscosity conventional mineral base oils have inherently good lubricity. Synthetic oils (especially PAO) are hard on engine seals which can cause oil leaks. Using a conventional formula at the start of an engines life can help new engine seals to set or seal properly before a synthetic oil is used. Does not contain Molybdenum Disulfide (Moly). This can help protect engines against wear during initial start ups. API SJ additives have more anti-wear and detergents molecules than more modern API SM additives. This SJ technology with the additional boosts of ZDDP (Zinc) provides excellent wear protection under extreme racing conditions, and promotes cleanliness when using fuels that can cause additional contamination. Being a surface active molecule, our 3000 ppm of ZDDP (Zinc) acts as a friction modifier reducing friction when compared to standard motor oils. Recommend using during your complete dyno test or simulate 100 laps/10 passes. This high performance racing “methanol/nitro” LUBE is uniquely formulated using an Ashless Formula to greatly decrease deposits. Renegade “Pro-Series” Upper/Top Lube is a “step out” product that works like no other Upper/Top Lube on the market. The result is a synergistic formulation ideally suited to meet the stringent lubricating demands of high performance methanol and nitro applications. Bow Wow Baby! 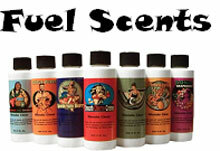 – “No more stinky fuel odors”. Specially formulated for High Performance Fuel Applications. Synthetic Ashless Formula to prevent gum build up. Thanks to Capital City Oil in Topeka in regards to the awesome 102 Renegade Race Fuel used to fuel my Buell to each finish line. From a desire to have high quality, reliable fuel for their own race cars, Renegade Racing Products was started. In 2004, after a few years of relying on other fuel producers, Renegade sparked a partnership with Valor, LLC Terminals to blend their own custom fuels and offer private label products. This would include exotic fuels and compatible lubricants that would be called the Renegade Pro-Series. Renegade’s Mission is to be the #1 leader in the research, selling and marketing of innovative, high quality racing products. Now with nationwide distribution and new markets expanding almost daily, Renegade Racing Fuels & Lubricants is quickly becoming racing’s best kept secret. To be the #1 leader in the research, selling and marketing of innovative, high value, high quality racing performance products. We will accomplish this by ensuring that our products and level of service are of the highest quality, and provide long-term value, as well as maintaining a level of excellence in the execution of operations which puts all competitors to shame. Rely on us and Renegade Racing to help get your vehicle off the line quicker.